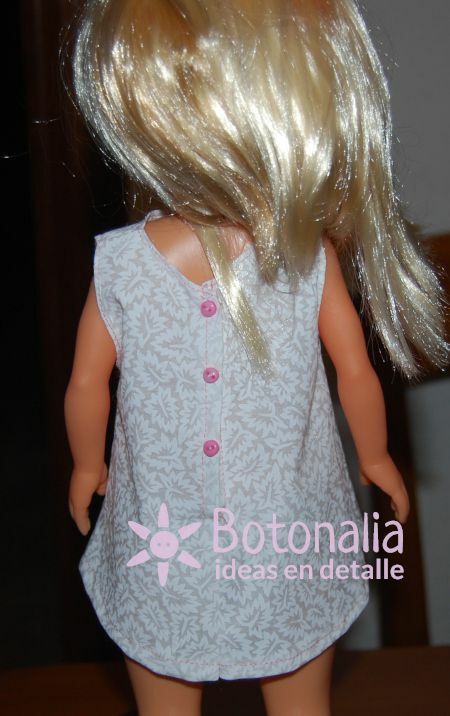 With any simple dress pattern we can obtain various dress models for our doll by decorating with different embellishments. 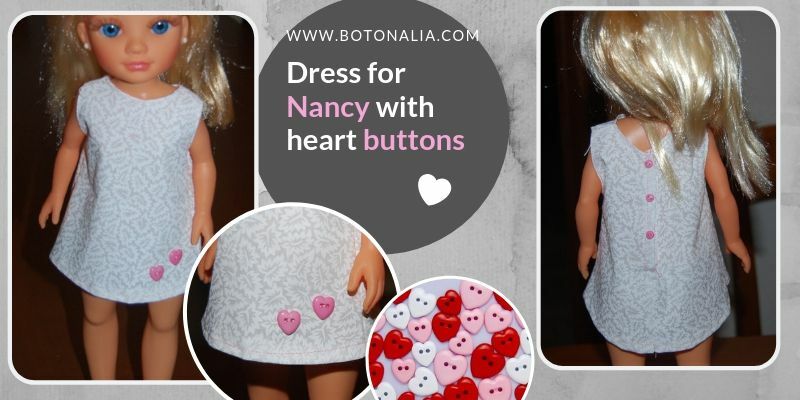 Here, Nancy’s simple dress is decorated with just 2 pink heart buttons. We also use pink micro buttons at the back that are just meant to decorate, since the dress is really closed up with snap buttons. 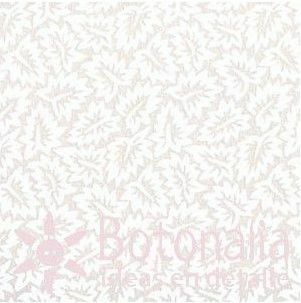 Nancy wears a dress in white cotton fabric (poplin) with a very faint print of leaves. I found it almost impossible to take the picture of the fabric on its own, but it can now be appreaciated properly on the doll. The dress does not have sleeves. I normally prefer to finish doll dresses with facing pieces for armholes, neck and back. It might seem that you gain time and save fabric by just turning edges and stitching on it. But the truth is, for the size of dolls clothes, it is very difficult to get a good result with this method. In this case, however, I have done it the “wrong way” and just turned edges. You can use the fast way if you are just making a quick thing for your daughter to play with. Just keep in mind that it probably won’t look as good. Since the buttons I have chosen for both front and back are pink, I have stitched on the outside with pink thread as a decoration. The shoes, also pink, are the normal ones that came with the doll. I think it is well appreciated in the photos, but I clarify just in case: the pink color from the buttons is much lighter than the shoes color. The blog “Anilegra cose paraNancy” has a simple dress pattern, designed to be made in felt. So easy that even a child can do it. She gives some ideas on how to decorate it too. If you use this pattern to make a dress in fabric, keep in mind that you need to add margins to finish armholes, neckline and hem so that the fabric doesn’t fray. From the same blog, this other simple dress pattern, also for felt, but this one with sleeves. Remember to leave allowances to finish edges if you are using a material that frays. 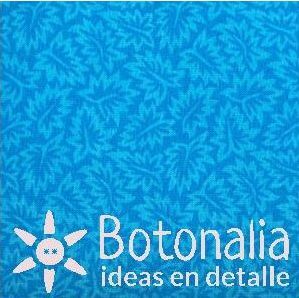 From the blog “Las cucadas de Carlota” you can get a pattern for a simple straight dress to make in fabric. Mind that the pattern does not include the seam allowances, you have to leave margins. In this magazine called “The Club Magazine“, page 30, you will find a simple dress pattern, very similar to the one I made, to make a dress in fabric. It’s a model for the classic Nancy doll, but there should not be much difference in size. There are other patterns in the magazine too. The print is so soft that I can’t take a proper picture. It is much more visible in Nancy’s finished dress. In case you want exactly the same color, this is it. You can see the other colors in the shop in the category Quilt Fabric. I have used pink heart buttons of small size that come in the Dress-It-Up button pack “Heartbreaker“. 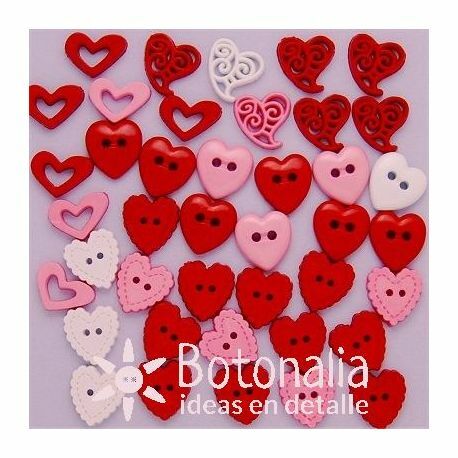 This pack also contains hearts in red and white, in addition to pink, and all in various sizes. 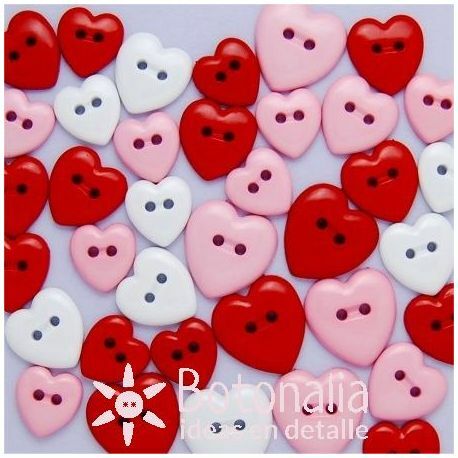 Another similar pack of buttons by Dress-It-Up that also has pink hearts is “Love Potion“. although they come in one size only. As in the previous example, this pack has buttons and embellishments in pink, white and red, with two different models of embellishments and two of buttons. Either of this button packs will have buttons for a lot of romantic projects, either using all colors together, or separately. The dress also displays small 6 mm buttons on the back that simulate a closure. 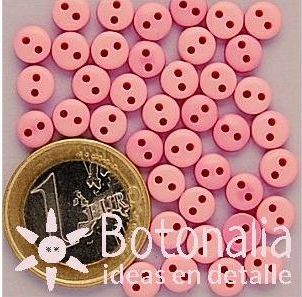 In Botonalia there are many models of mini buttons (or even micro buttons) to use in doll clothes. They usually come in packs and you can find them in the Mini Buttons section. These pink buttons that you see in the picture above are the same ones I have used for Nancy’s dress. As Nancy is not such a small doll, this size works very well and they are small enough in size. 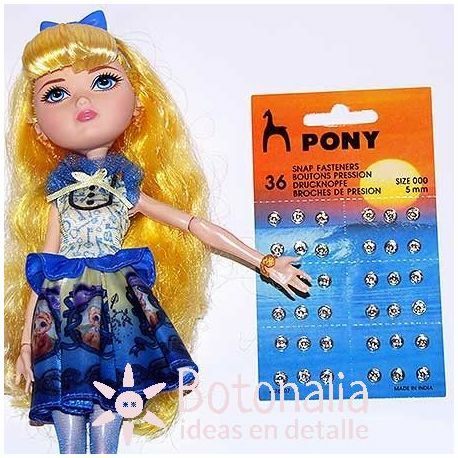 If you have a smaller doll, like Barbie or Monster High, you can also find packs of 4mm buttons in the Mini Buttons sections. At the back of the dress I used tiny snap buttons, and then I sewed 6 mm pink buttons on the outside, which are just decorative, as I explained in the previous section. The doll in this picture is much smaller than Nancy. For Nancy doll, 5mm buttons are even better. If you make the dress for small children to play with, you can use bigger snap buttons hidden, and then others to decorate on the outside too. This way it will be easier for them to dress the dolls. Always remember that for the little ones (less than 3 years) all buttons are a risk and it is better to use Velcro. I’ll be back soon with more versions of this simple dress. How will you make yours?